Countdown to Proposition 100, Let's Get the Vote Out! Let's Get the Vote Out for Proposition 100! Hold "VOTE YES TODAY ON PROPOSITION 100" signs outside of your school at drop-off and at pick-up. Remember to stand off of your school grounds. If you plan on holding a sign at your school, please sign up here with your name, the school you plan to cover and whether you will at drop-off, pick-up or both. 2. SEND EMAIL AND FACEBOOK MESSAGES to your family and friends encouraging them to vote Yes on Proposition 100. For a sample email letter, click here for a message to send your friends. 3. MAKE PHONE CALLS TO VOTERS. If you live in the Tucson area and are interested placing calls to potential voters, contact Marisela de Solis Kester with the Proposition 100 campaign in Tucson at phxmom05@gmail.com. There will be opportunities to make phone calls in the evenings and during this upcoming weekend. 4. PAINT YOUR CAR. Paint your windows with the message "Vote Yes on 100". You can buy window chalk at Michael's, ACE Hardware or your local 99-Cent store. Have a window painting party at your next baseball game or swim practice. 5. HELP HAND OUT FLYERS AT THE UNIVERSITY OF ARIZONA GRADUATION CEREMONIES. The Arizona Student Association is looking for volunteers to help hand out Proposition 100 materials this Saturday from 7 a.m. to 11 a.m. If you are interested, contact David Martinez at dm3@azstudents.org. Volunteers will meet at 7 a.m. in the ASUA offices on the third floor of the Student Union. For more information and/or ideas, visit AEN's Prop. 100 - Vote Yes Tool Kit. The Proposition 100 vote is less than a week away. The future of our local schools and universities hangs on the outcome of the vote on Tuesday, May 18. This has the potential to be a very close election. Every vote counts! And no matter the result, we can celebrate because thousands have found their voice once again. And it is because of you. Because of you, thousands of voters were registered in communities around Arizona. Because of you, hundreds of registered voters signed up for the permanent early voter list and will now receive their ballots at home, making voting more likely. Because of you, Arizonans are chipping away at the partisan albatross that has constrained a true, open, and honest dialogue about the state of public education. Because of you, the sleeping giant is awakening. And because of you, Arizona's students have a chance. Proposition 100 is just the beginning, the first miles in a marathon to restore a basic and solid footing for our children's future. We will get there, because of you! One example of education supporters at work. 100 STANDS for education on Saturday, May 8, 2010. If you received a ballot by mail, please remember to vote YES and send it back. You can also take your early ballot to any polling place on Election Day. Here are the top questions we've been hearing regarding Proposition 100 and the answers that we have published. If you hear any of these questions raised, please provide answers so potential voters will have a better understanding of Proposition 100. Is it true that the one-cent temporary sales tax will cost the average Arizona family $400 a year?An Arizona family of four would have to spend $40,000 dollars a year on sales-taxable items for that to be the case. According to the US Census American Community Survey of State Median Income by Family Size in the past twelve months (2008 inflation adjusted dollars) the median income of a four-person Arizona family was $69,452. Considering that many expenses such as mortgages and services are exempt from sales tax, it is highly unlikely that the average Arizona family would pay anywhere near $400 more in sales taxes. Won't the money raised by Proposition 100 just be shifted to pay for corporate tax cuts? Money raised by the one-cent sales tax increase is mandated to go to education, health and human services and public safety. While a corporate tax cut was discussed, no corporate tax cut bill emerged this legislative session. Why are some people saying Proposition 100 is really an 18% increase? The 18% refers to the increase in the current tax rate of 5.6% to the proposed rate of 6.6% (if Proposition 100 passes). That is a simple mathematical difference of 17.85%. By calling Proposition 100 an 18% increase; opponents have created the misperception that the increase is really 18 cents on the dollar. Proposition 100 is a one-percent sales tax increase or one-cent on each dollar spent. ONE PENNY! If you purchase a DVD player for one hundred dollars you would pay an additional one dollar, not an additional eighteen dollars. "Is the state proud to that it's 49th in investment in education?" Secretary Duncan asked. "I don't know that that's something I'd be proud of.... If you think education is expensive, try ignorance.... We have to educate our way to a better economy." 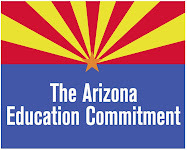 Interested in having the Arizona Education Network speak at your school or community group event? Email us at outreach@arizonaeducationnetwork.com for information and dates.